Interview with David Romero January 2014. It is with great sadness that I report Paul Romero passed away Oct. 27, 2013. Many of you remember this May 1, 2013 story. At the time I had very little information on this important Pueblo singer and his contribution to Southern Colorado music history. Thankfully his son David contacted me recently, of which I am immensely grateful. I thank him for allowing me to tell his father's story. "Music has been a part of my father's life since he was a young boy," he said. 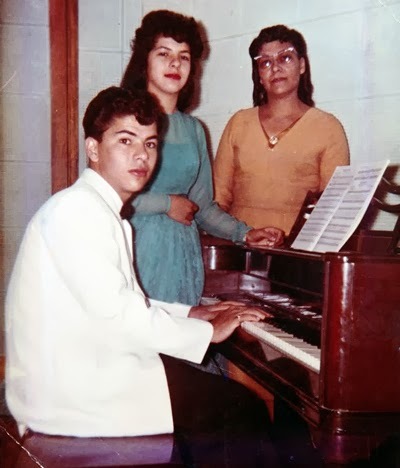 "At a very young age his mother began his musical training so he could help out in the church--so he learned how to play the piano, guitar, bass, and saxophone." 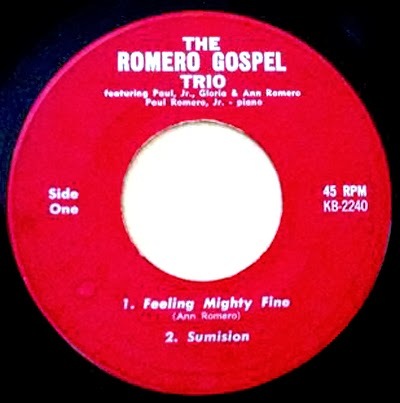 In 1959 Paul and his family formed the Romero Gospel Trio, featuring mother Ann and his sister Gloria. 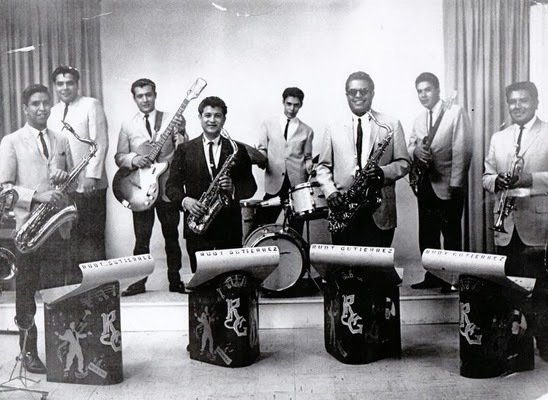 The group even recorded a single, featuring young Paul on piano. But for the Centennial High teenager, the Pentecostal church couldn't contain his appreciation for rock and roll. "As you can imagine my grandmother and grandfather weren't thrilled with the idea of my father recording secular music, but it was his dream, so they ultimately relented and supported him." With his family's encouragement, Paul started to write songs. A fan of both Fats Domino and Ray Charles, he found inspiration in their melodies, and with the recent break-up with his high school sweetheart, he had the perfect subject matter for his first single. 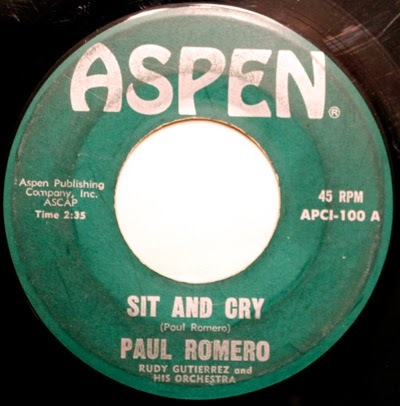 Recorded in 1962, "Sit and Cry" and the flip "First Day of Spring," features the backing of the popular Pueblo band, the Rudy Guiterrez Orchestra. Unfortunately details are unknown about the recording session, where it occurred, or how many of the singles were pressed. The single received extensive airplay on local radio, a mention in Billboard, and the attention of at least one major record label. 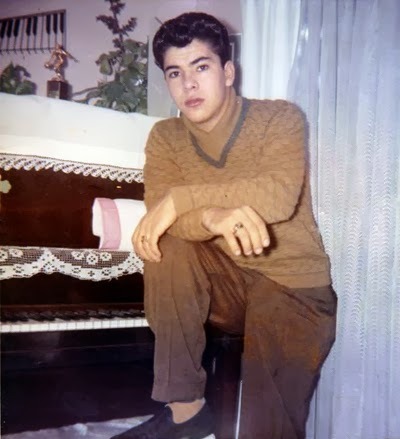 "He was heavily courted by Ritchie Valens' recording label, Delphi Records, post Ritchie's death," said Romero. "They were looking for the next young, Latin pop-star to replace Ritchie. From what I remember, Aspen records were in contractual buy-out talks with Delphi, but the negotiations ultimately fizzled due to Aspen's high financial demands. My father was handcuffed legally, and couldn't continue any further talks with Delphi." 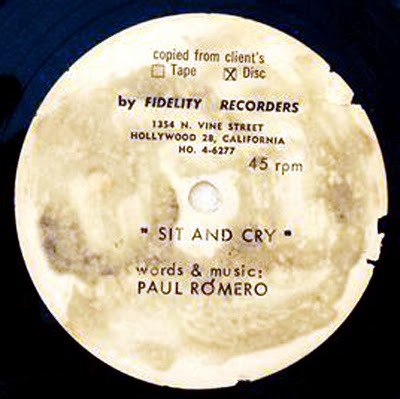 Original acetate of "Sit and Cry"
In spite of the setback, Paul continued to perform, partnering again with the Rudy Guiterrez Orchestra on some of the band's recordings. On Feb. 2, 1963 he married his high school sweetheart Betty (the object of his affection on "Sit and Cry"). In 1972 the Romero family left Pueblo, and moved to Denver. Four years later they left Colorado for Southern California. In 1998 Paul Romero developed Parkinson’s disease. His symptoms ultimately left him unable to sing or play music. In 2005 he and Betty moved to Austin, TX to be near their grown children. “We held memorial services for him here in Austin, the beginning of November, where my nieces, nephew, my Aunt Gloria Romero Vigil, and I all performed music in tribute to him. It was a very emotional day, but one he would have been proud of." 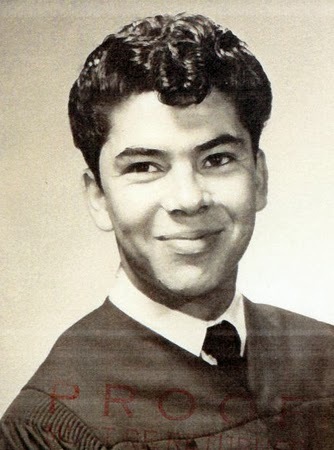 Paul Romero is survived by his wife of 51 years, Betty Gettler Romero (Central ‘60), as well as sons Paul Romero III, David Romero, daughters Natalie Romero Fish, and Isabel Romero Logsdon, and six grandchildren. David Romero is currently digitizing his father’s later gospel recordings, and plans to make them available online.